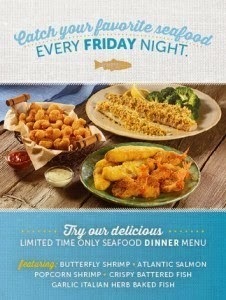 Starting February 20th through April 3rd, 2015, Ryan's, HomeTown Buffet and Old Country Buffet are honoring Lent by offering their best catches of the season with a special Seafood Fridays menu. 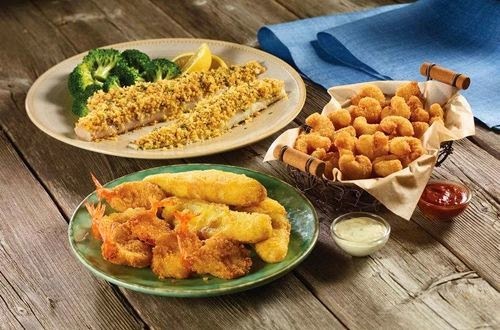 The family friendly chain will offer various fish and shrimp options every Friday night in addition to their standard selection of yummy foods. Guest may enjoy an assortment of seafood like, Popcorn Shrimp, Baked Fish, Fired Fish, Butterfly Shrimp, Garlic and Italian Herb Fish. At Ryan's you can enjoy Southern Fried Fish and at both Old Country Buffet and HomeTown Buffet you can enjoy Atlantic Salmon. I personally was able to try some of these selections and I have to say I am not much of a fish fan but they cook it to a perfect taste which is not fishy at all with the Garlic and Italian Herb soooo good. 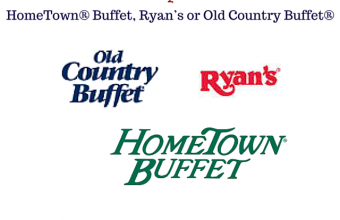 You can find your local Ryan's, HomeTown Buffet or Old Country Buffet by clicking here. Enter to win 2 free meal passes to any of the 3 restaurants for breakfast, lunch or dinner. Contest is open to U.S. residents only and will end April 28th, 2015.